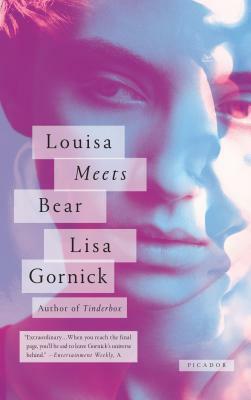 Lisa Gornick's collection, Louisa Meets Bear is now out in paperback! Check out this Q&A with the author before stopping in to pick up your own signed copy (while supplies last). How did you come to write Louisa Meets Bear? I’ve written an essay about this subject called “Is My Book a Novel?” , but here’s the short version. Rereading a parcel of my stories, two sets of which included shared characters, I was struck by how they were linked by an underlying sensibility, and that as an ensemble they told a story about the changes in family life and the dominant culture over the past fifty years and the permutations of love from adolescence to deep middle age. I’ve always been fascinated by uncanny connections and the way that our inner and outer lives operate such that what seem at first to be coincidences are, in fact, what psychoanalysts would call overdetermined. It was great fun to imagine the possible links between the characters. The risk was not to go overboard in a madcap way that would make the narrative feel like a cheesy thriller. There was then the hard work of fitting, as my editor put it, the jigsaw puzzle together so a baby born in 1975 wouldn’t turn fifteen a decade too early or late and, on a deeper level, creating resonances such that what was known about a character from an earlier story would illuminate a later story, and the later story would then shine light back through the earlier ones. I am in the beginning phases—day dreaming and designing—for a new novel, and therefore reading in a promiscuous way: many books simultaneously as I think over questions concerning point of view and structure. Here’s some of what I’ve dipped into over the past week: Virginia Woolf’s Mrs. Dalloway, Alice McDermott’s Someone, William Trevor’s Reading Turgenev, James Wood’s How to Write Fiction, Edith Wharton’s The Writing of Fiction (from which I borrowed the idea that the ending of a book should “send a long enough shaft to meet the light cast forward from the first page”) and a brilliant book a writer friend just introduced me to by David Jauss called Alone with All that Could Happen in which he upends common narrative categories with examples, for instance, of a first-person omniscient narrator. 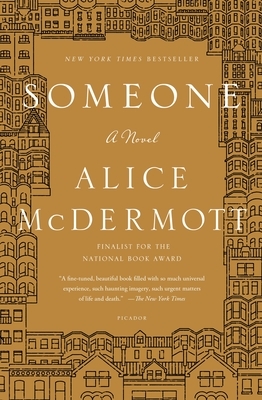 I don’t have a single favorite book, but there are books I return to over and over again, mostly because I am endlessly trying to understand the machinery behind their magic, including the already noted Mrs. Dalloway (as well as To the Lighthouse), Sandor Marai’s Embers and Wallace Stegner’s Crossing to Safety. Both Embers and Crossing to Safety are what I call “tight-frame” novels, a genre I love and a subject I briefly discuss in an interview that includes a shout out to Book Culture as my favorite indie bookstore! 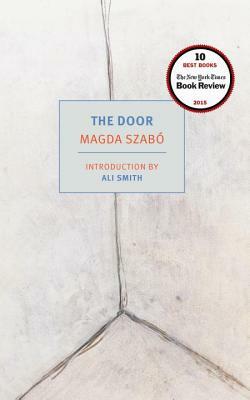 Two books that I recently read for the first time will, I suspect, join this pantheon: Elena Ferrante’s Days of Abandonment and Margo Szabo’s The Door. Stop in and pick up your copy of Louisa Meets Bear today!